Michael D’Andrea has been revealed to be the Chief of the CIA’s Counter Terrorism Center for the last many years. He replaced Robert L. Grenier as head of CTC in 2006. He is well known as the originator of the CIA’s “Signature Strike” drone operations around the world. He is depicted in the film, Zero Dark Thirty as “The Wolf”. 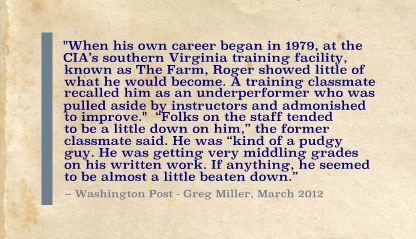 WAPO’s Greg Miller report below from March 2012. 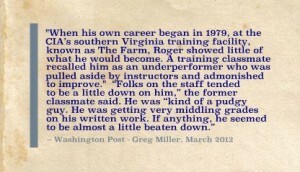 Greg Miller reports his cover name as “Roger”. A current photo of Michael D’Andrea is welcomed by Cryptocomb.